Tijdens uw bezoek aan Kuala Lumpur zult u zich snel thuisvoelen in Rain Forest Hotel Chinatown, dankzij de hoge kwaliteit en de goede service. Het hotel ligt slechts 6.6 km van het stadscentrum: lokale bezienswaardigheden zijn dus snel te bereiken. Dankzij de praktische locatie liggen alle belangrijke trekpleisters in de buurt van het hotel. Voor Rain Forest Hotel Chinatown is niets teveel om het gasten naar de zin te maken. Zo biedt dit hotel goede service en vele faciliteiten. Maak in het hotel gebruik van een selectie topklasse faciliteiten, zoals gratis wi-fi in alle kamers, 24-uur receptie, bagageopslag, wi-fi in openbare ruimtes, roomservice. Alle accommodaties beschikken over doordachte voorzieningen om een ongeëvenaard gevoel van comfort te garanderen. Daarnaast garanderen de talrijke recreatieve mogelijkheden dat u zich tijdens uw verblijf kunt vermaken in het hotel. Het Rain Forest Hotel Chinatown is een slimme keuze voor mensen die reizen naar Kuala Lumpur: een ontspannen verblijf is gegarandeerd. This was my second time staying here and the staff was really friendly as usual. But the only drawback that they really need to fix is the internet connection. I thought they had fixed it but nope, the connection was really lame! Overall, everything is ok! 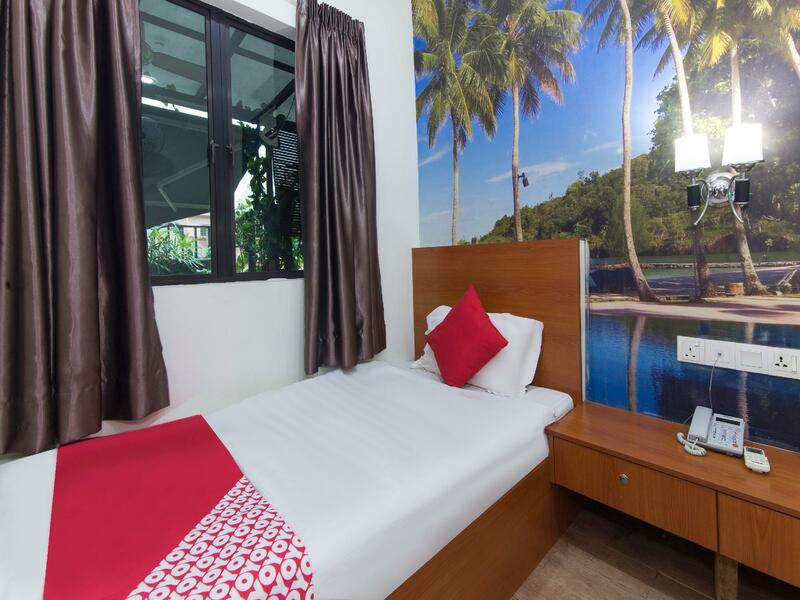 The location is strategically located in Pasar Seni and few meters from the famous Chinatown. I’d say everything is ok with this place but the only drawbacks that I noticed were: the aircond and wifi were not properly functioning. The management should do something about it. But overall, i would recommend this place to you! Bit of a sketchy location, so as a single female traveller I felt a bit nervous going back after dark. However, the staff was so friendly! I booked a couple of tours through them and they bent over backwards to make sure that I got everything that I wanted. When one of the tours was full, they even tried to find me a hired taxi who would take me places. Very good staff! Once you enter your room got damp smell,moldy. Reception taking picture of my IC using their handphone which make me uncomfortable. Is this your SOP (standard of operation) because that suppose to be our P&C. Why dont you key in straight away to your system instead of taking picture? Totally disagree. People can simply misuse.. Hope management will consider other option. The facilities were nice and clean. Hot showers and individual stalls for toilets as well. The hot and cold water dispenser on each floor was very useful for our water bottles and coffee that we brought. Room is small and cozy with AC. The top floor balcony was great when we ate takeout food and nice chilling spot overlooking the street. Very accessible for public transit and Petaling Street for food and shopping! This place does what it says in the tin. The rooms are small but very clean and comfortable. We had a room at the top by the seating area and it was surprisingly quiet. Free water dispenser. Fridge to put food/ drinks in. If you want something cheap, clean and simple then this place is highly recommended. I valued the privacy that this place offered. There were individual shower rooms (with working hot water!) and bathrooms, each with a door that locks. The hot and cold water dispensers on each floor were very convenient since we had our own portable water bottles and coffee packets. It was always nice and quiet in the halls, apart from the faint music from parties on the neighboring street past midnight, which you couldn't really hear from your closed door. Then again this place is conveniently close to everything such as Petaling Street, bus routes, and Pasar Seni LRT station. We easily grabbed food on Petaling Street during our entire stay and took public transit to get around KL. Laundry service is not provided at the hotel so we had to find nearby places 5-10 minutes away. 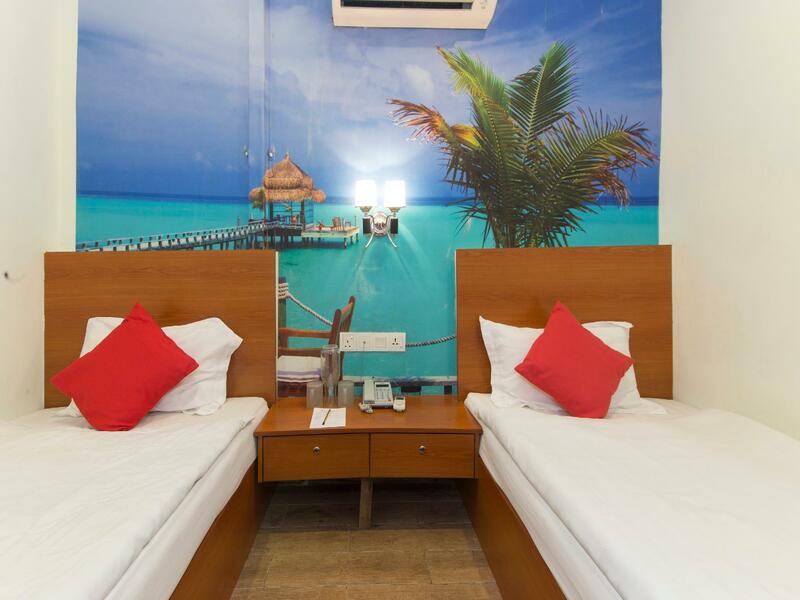 Overall, we recommend this place especially for the hefty discounts Agoda offered. We would definitely come back! You'll get everything even though the price is cheaper than nearby guesthouses. Towel, water, soap, even kitchen utensils to use. They also have a nice hang out spot at the top level. 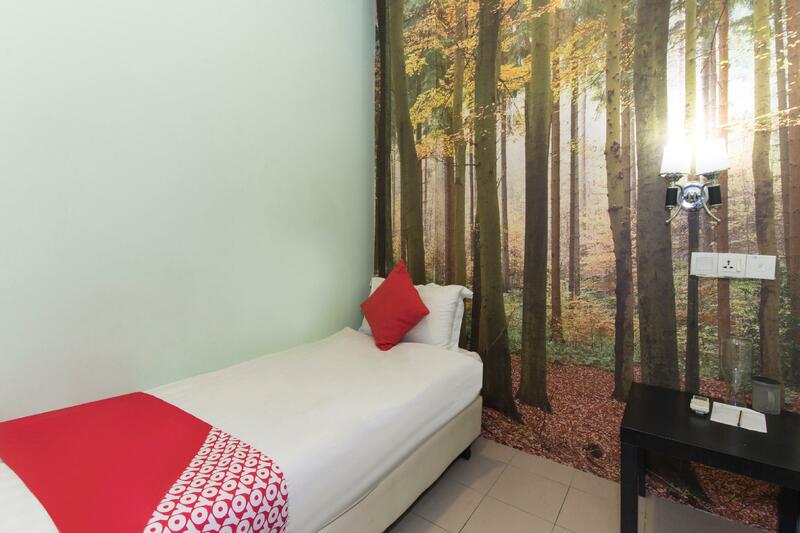 The hotel is close to Petaling Street Market and Pasar Seni stations. This is now my default stay in KL. It is the same price as a Dorm bed in another hotel. The staff are great and the location is just slightly off China Town main road so its a lot quieter. 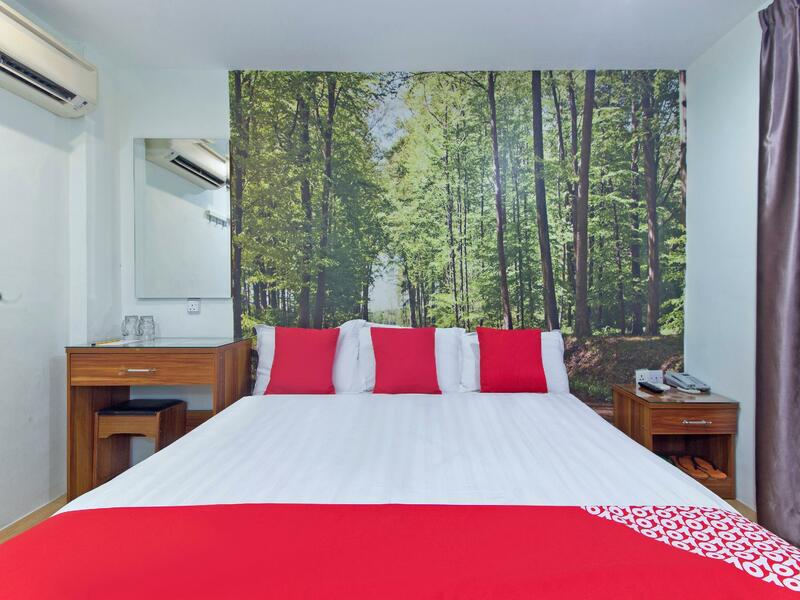 The hotel is definately a safe choice for solo travellers. The roof terrace is nicely laid out and is a great feature. Yeah so we're excited arriving in KL. We arrived at the property about 6 am and was hesitant to check in very early in the morning... but the receptionist said that there was no problem and we can check'in early. To our surprise, she said we booked in a budget room and I said yes, for 2. But she responded that the room wont fit 2 people there. but then i asked why? We confirmed via agoda that the budget room is for 2 so what seems to be the problem, I asked. She said that there is a problem with AGODA mixing up such things. So I said what should we do? that time we were so tired from lack of sleep and all we wanted to do was lay our backs on the bed. Then she said, you have to pay additional price for twin beds 30 rm per day and tax of 10 rm. We booked for 3 nights. She asked for 100rm and a deposit of 50rm. We didnt argue and just paid for it coz we dont have the energy that day. That was the only issue we had. The cleanliness and staff were nice and the location is perfect. Recently cheap in neighborhood and new hotel has increased. This place is narrow without a window, the toilet shower co-operated, rundown with old, smelly humidity came. The smell of cigarettes and surrounding cooking, the rotten rice, and the smell of the dough were stinky. Female staff at the reception is a Filipino 41yo single mother with five childrens . She is hoping to donate from Chinese middle-aged man. Fully booked with reservations everyday、 The cleaning young man is kind to carry the luggage up the stairs. The corridor smelled cigarettes early in the morning. From 8 o'clock in the morning the strong odor of excreta was filled all day and the inside of the room and smelled and it felt nauseated. Odor of smell of cooking often came into the room during the daytime、 There were cockroaches and numerous ants in the room. The toilet and shower were mixed with men and women, middle-aged men guest came out of the toilet while Underwear and pants were lowered. The dormitory is in front of the toilet and shower without a door. The reception staff may be a teenage woman like a skeleton, The size of the room is 2 x 1.5 m without a window. You can hear the noise of a slight sleeping breath of the Both sides rooom guest and the outside footsteps . Drinking water was installed in the corridor, but it tasted slightly diluted like seawater.